Vanessa Hudgens, Ashley Tisdale, Lucas Grabeel, Corbin Bleu and Monique Coleman are all reunited this coming Wednesday to celebrate the ten-year anniversary of High School Musical. The group will be reminiscing about the films that helped jump-start their careers, and remains to this day, one of the most iconic Disney Channel Original Films ever. 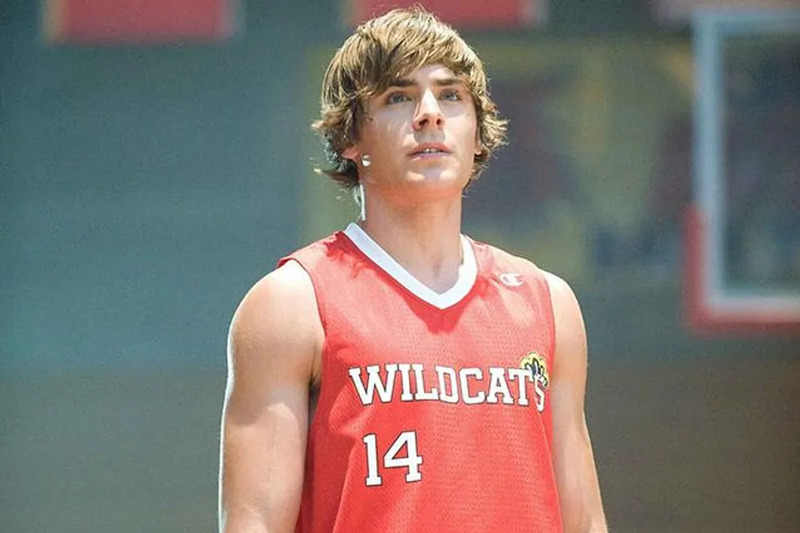 The film follows Troy (played by Zac Efron) a popular basketball player, and Gabriella (played by Vanessa Hudgens), a shy, brainy new student, whose relationship and love of singing wreak havoc on East High. When the first film debuted on January 20, 2006, it was at the time, the highest ratings for any telecast ever on Disney Channel. High School Musical even received two Emmy Awards. Unfortunately, Zac Efron will be missing from the reunion. Due to scheduling conflicts, (and the fact that he actually has a career) Efron will be join the telecast in a pre-taped message. However, that is not good enough for HSM fans. Here are 9 hilarious responses to Zac Efron bailing on the reunion. 1. When we all realized Zac Efron and Matthew Perry were the same person, especially since Perry is skipping the Friends reunion. 2. When someone channeled Sharpay to get their feelings across. 3. When this HSM fan remembered that Gabriella accurately predicted Tory’s future. 4. When this user reminded Zac about everything his fans have done for him! 5. When we all realized that Zac lied. 6. We this fan reminded Zac of the tragedy of We Are Your Friends and his epic fail at HSM trivia. 7. When fans used Zac’s Dirty Grandpa promotion to drag him for not attending the HSM reunited. 8. When this HSM lover used Tyra Banks to express their disdain. 9. Basically all of these pictures. The High School Musical Reunion will air Wednesday, January 20 (8:00 p.m., ET/PT) on the Disney Channel.